Though he is considered one of the pioneers of abstract expressionism, during his long career the German-born painter-turned-U.S. citizen Hans Hofmann embraced many styles. Born in 1880, he was first drawn to Impressionism. He then spent time in Paris in the early 1900s where he befriended Pablo Picasso, Georges Braque and Henri Matisse and embraced such movements as Cubism and Fauvism. That’s nicely illustrated by “Hans Hofmann: Works on Paper,” which opens Saturday at MOCA. The show includes 76 of Hofmann’s works on paper as well as four of Hofmann’s paintings, all loaned for the show by Jacksonville collectors. 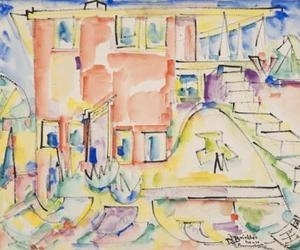 Besides being an acclaimed artist, Hofmann was a highly regarded arts educator. That’s what brought him to the United States for the first time, in 1930, when he was invited to teach a summer session at the University of California at Berkeley. He returned the next year and by 1933, he spent a summer as guest instructor at the Thurn School of Art in Massachusetts. Then in the fall, at the advice of his wife, Miz, he opened the Hans Hofmann School of Fine Arts in New York. He never returned to Germany until after World War II and became an American citizen in 1941. For the last three decades of Hofmann’s life, he and his wife divided their time between New York City and Provincetown, Mass. During those last three decades Hofmann taught. Among his celebrated students were Lee Krasner, Helen Frankenthaler, Robert DeNiro Sr., Michael Goldberg and Larry Rivers. He wrote. His book, “Search for the Real,” in which he discussed his push/pull spatial theories and his reverence for nature as a source for art, was an important influence on Clement Greenburg, himself among the most influential art critics of mid-20th century America. And he created art. He kept painting and drawing until almost the end of his long life. He was a month short of 86 when he died in 1966. 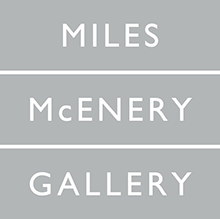 The MOCA show is arranged chronologically, beginning with the gallery on the right as a visitor arrives at the third gallery. All 76 works on paper, the first of which are from 1914, are original works, not sketches for later paintings, DeSimone said. Most of the early works are black and white, India ink on paper. Some of the early works are at least somewhat representational, with recognizable human figures or in the case of a sketch he made while in California in 1930 recognizable oil derricks. Many works from the ’30s and ’40s, while certainly modernist in style, are clearly landscapes. As the visitor progresses, the style becomes more and more clearly abstract expressionist. In 1940 Hofmann created his painting “Spring” (not part of this show) by dribbling, splashing and pouring paint directly onto his canvas, anticipating by several years the signature drip technique used by Jackson Pollock. But in the final gallery, the work is once again less clearly abstract expressionist. Hofmann he entered what DeSimone called his “period of geometry,” with “slab” painting filled with rectangles.